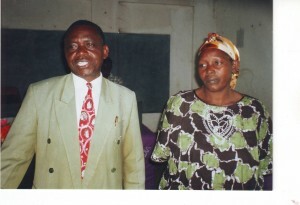 Biography: Tanzania Missionary Revival Church was founded in 1995 in Mwanza City. Currently Jacob and Miriam have one hundred twenty churches with a vision to reach all people in their nation with the gospel of Jesus Christ and teach the people to grow in spirit, soul and body. With over twenty years of mission experience, thirty years of pastoral experience, and five years of evangelism experience, Jacob and Miriam give themselves to the vision to give everyone an opportunity to hear about Jesus Christ by running two health centers, reaching street children and orphans and caring for them and focusing on raising up leaders for different aspects of the ministry. Strengths: Jacob and Mariam have a passion to reach all people. Their gifts to reach out to the children and also train future leaders enhance this heart's desire. Jacob and Miriam also have 4 adult children, Leah, Amos, and twins Kulwa and Dotto.